Vineet R. Kamat is a Professor of Civil and Environmental Engineering at the University of Michigan. 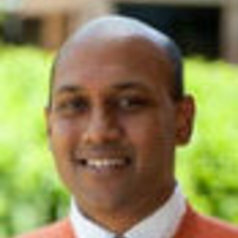 He received his PhD and MSE degrees at Virginia Tech in 2003 and 2000, respectively, and his BE Degree with distinction from Goa University In India in 1998, all in Civil Engineering. His research is focused on automation and robotics, and its applications in the construction, operation, and maintenance of civil infrastructure systems. His research has also involved real-time robotic monitoring and visualization with applications in built environment monitoring and control. he has authored more than one-hundred peer-reviewed papers on topics of his research interest including mobile robotics, scene understanding, robot perception, and pose estimation.